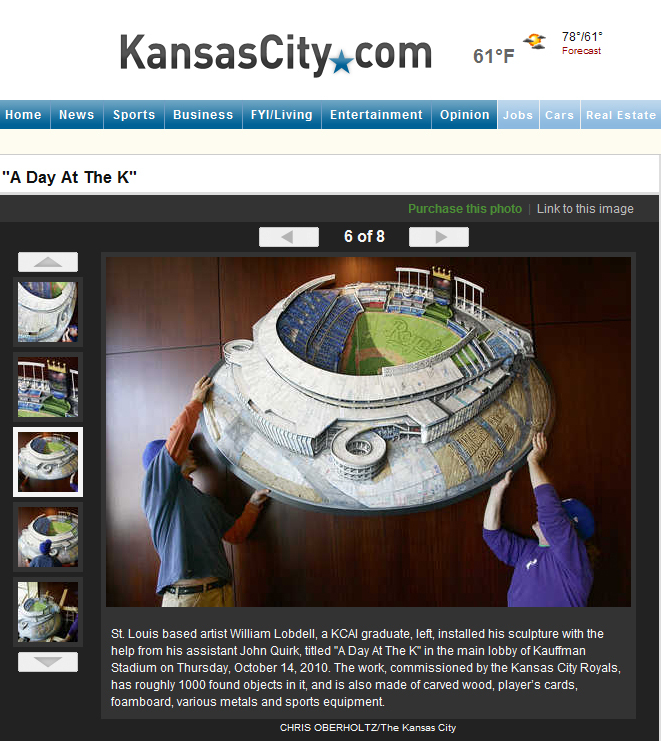 We installed this cool piece, by KCAI alum William Lobdell, to help bring the Royals luck. Apparently that worked–along with world-class play. 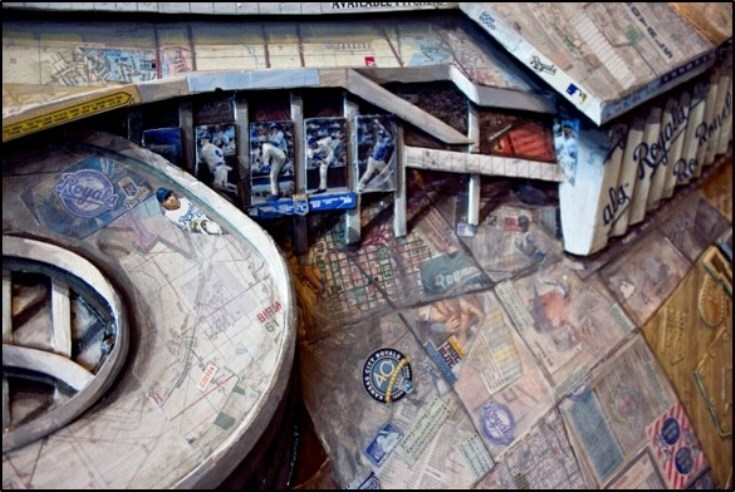 Made of 1000 baseball-related objects, it’s in the main lobby just inside the doors. 6′ x 6′. Thanks to everyone at Royals for giving us such a great gig. 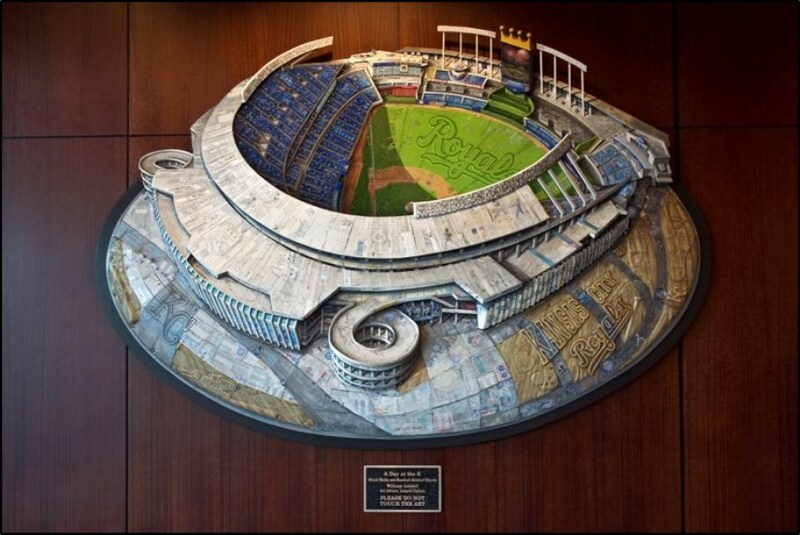 Congratulations on a beautiful World Series Win!